The Syrah grape variety, or Shiraz, as it also is known, is featured in this tasting. Wines made from Syrah (Shiraz) from France, Australia and Bulgaria will be compared. We will also try to guess the price of the individual wines. Many of the suggested wines on this web site may be bought in your country. Refer to Wine Searcher to find retailers. Numbers below link to Systembolaget´s information in Swedish. - Soli Syrah from Bulgaria, nr 2224, price about 6 euros. Producer: Edoardo Miroglio Eood. Light-bodied, soft tannins, young, fruity flavour and aroma (blackberries, plums, blueberries and pepper), alcohol content 13.0 %, minor oak character. Grape varieties: 85 % Syrah, 15 % Merlot. - Peter Lehmann Barossa Shiraz Potrait from South Australia, Barossa Valley, nr 16381, price about 12 euros. Producer: Peter Lehmann. Full-bodied, very fruity flavour and aroma (blackberries, eucalyptus, blackcurrants, chocolate, vanilla), alcohol content 14.5 %, medium oak character. Grape variety: Shiraz. - Crozes-Hermitage from France, Rhône Valley, Côtes du Rhône, Crozes-Hermitage, nr 2802, price about 16 euros. Producer: E. Guigal. Medium-bodied, spicy flavour and aroma (blackberries, cherries, pepper, laurel, herbs), alcohol content 13.0 %, minor oak character. Grape variety: Syrah. - Hermitage La Petite Chapelle from France, Rhône Valley, Côtes du Rhône, Hermitage, nr 95464, price about 50 euros. Producer: Paul Jaboulet Ainé. Full-bodied, spicy, fruity balanced flavour and complex aroma (plums, white pepper, blackberries, rosemary, lavender), alcohol content 14.0 %, medium oak character. Grape variety: Syrah. What does Syrah taste and smell of? Wines made from the Syrah grape are generally flull-bodied and rich with flavours of fruit and berries, black pepper and chocolate. . They are rich in both tannin and acidity. If the small thick-skinned grapes ripen well and the yield is not too high, there is plenty of rich, generous fruit. 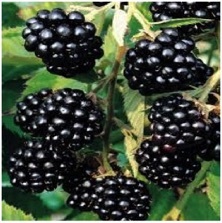 Dark berries dominate - it may be blackberries, blueberries, ripe blackcurrants. The typical character of the grape is, especially in young wines, the distinct scent of freshly ground pepper, black or white. You may also note a smell of burnt rubber but it is really the pepper note we are looking for. 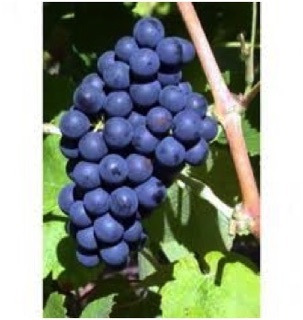 The grape variety Syrah is grown mostly in France and Australia. The styles are different but the quality can be considered equal. If you want to taste traditional Syrah you should try wines from the northern Rhône Valley. In Côte Rôtie, Cornas, St Joseph, Crozes-Hermitage and Hermitage Syrah is the only grape variety grown. 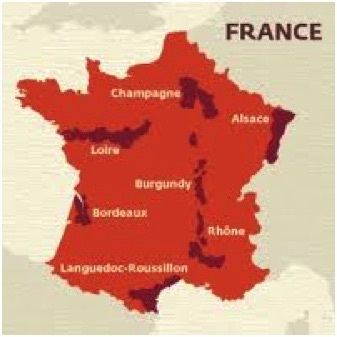 Of these areas Côte Rôtie and Hermitage are considered the best and so they are, but also the most expensive. Syrah wines from Crozes-Hermitage show characteristics both of the grape and the region to nearly half the price. These wines are excellent to store, good Syrah wines can keep long, extremely long. Australia is large and the wine styles vary. The Australian Shiraz wine comes from the Barossa Valley, which is located in South Australia, approximately 10 km north of Adelaide. South Australia produces large quantities of wine, more than in any other Australian state. Shiraz from the Barossa Valley - often from very old vines, even a century old - is an extraordinarily dense, spicy wine, steaming of sun-baked fruit. You can expect ripe tannins and flavours reminiscent of old leather, chocolate, spices, earth and blackcurrants. In addition to Cabernet Sauvignon, Shiraz is the most widely grown blue grape variety in Australia, grown in all wine regions. 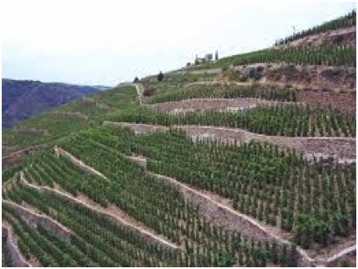 Shiraz is also, to some extent, grown in South Africa and Italy and there are even a few plants in Switzerland. California produces some good Shiraz wine but it is usually mixed with other grape varieties. Argentina produces for the cut-price market. Bulgaria produces some priceworthy copies of classic French styles with varying quality. Is there any difference between Australian Shiraz and Syrah from the Rhône Valley? Anyone who wants to gain a complete picture of the grape flavours can compare Syrah from the Northern Rhône with the softer, more fruity Barossa Valley Shiraz. French Syrah is more smoky, herbal and tighter. Australian Shiraz is richer, softer and with a note of leather. Shiraz from old vines can be incredibly intense. Is there any difference between Crozes-Hermitage and Hermitage? The aim of this wine tasting is to give an answer to that. The Hermitage area is considered to be the best and the wines are also the most expensive. But wines from Crozes-Hermitage exhibit very much of both the character of the grape and the region to about half the price. Wine from Crozes-Hermitage may be the world´s red wine which gives you most enjoyment and pleasure for the money. Hermitage is located on the left bank of the Rhône river. It is surrounded by Crozes-Hermitage which is the most important appellation of the Northern Rhône Valley, if you take the quantity into account. Here, in Hermitage located on the steep slopes above the town of Tain you may find some of the region´s, maybe the country´s most full-bodied wines, which can be kept and stored for a very long time. How important is then the high position of Hermitage compared to the less famous surrounding Crozes-Hermitage? What information can be obtained from the label? In Australia the label always shows the grape variety. Mixtures are common but if the label only specifies one grape variety, the wine is composed of at least 80 % of that grape. The production area and vintage should also, according to the regulations, be stated on the label. The lowest quality level is Produce of Australia, followed by South-Eastern Australia, which is a widespread designation of popular blends. 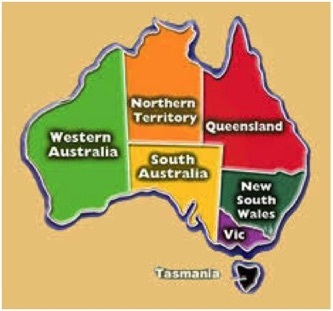 State of Origin is the next level and in each state there are a number of zones. Regions are even smaller, and some are divided into sub-regions. Wines from prime vineyards can be labeled Outstanding or Superior. In France, however, you have to know the area where the wine comes from (appellation), to find out which grape(s) the wine is made of. The AOC is the highest level and the regulations are therefore the strictest with regard to grape variety, growing methods, production methods and place of origin. But the designation Appellation Contrôlée is not a guarantee of quality, it is only a guarantee that the wine has been prepared according to the region's regulations and possess the region´s characteristics. What food goes best with Syrah? These wines go well with almost every food but can be a little dominant for delicate dishes. 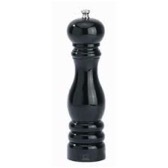 They are excellent for pepper steak, sausages, herb-rich stews and game stews, duck and goose, roast or grilled red meats, everything grilled goes well. Flank steak is proposed here, it is great to grill and is very tender if you cut it right, ie perpendicular to the grain. It's important. Marinate at least 30 minutes in the marinade. The recipe comes from Monica Ahlberg, Allt om Mat. Mix all ingredients and let the meat marinate for at least 30 minutes. Slit the flank steak light on both sides. Grill for a few minutes on each side until internal temperature reaches 58 degrees. Let rest for a few minutes before being cut into 5 mm thick slices. Finely chop the tomatoes into the butter. Mix together with the pressed garlic cloves and softened butter. Add salt and pepper. The full-bodied Syrah wines require flavorful cheeses. Try cave-aged Gruyère or parmesan. 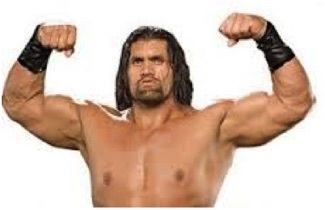 Morbiér is also great.